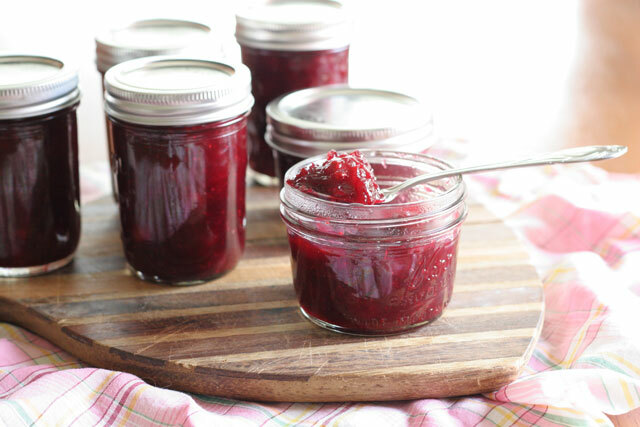 Simple Cranberry Sauce! Can it, don’t can it, but for sure make it. This quick and simple, yet simply delicious cranberry sauce is undeniably needed for any holiday meal plan you have in the works. I made it last week, canned it and have it ready to go. Making things ahead of time can alleviate so much stress for the holidays. Especially when oven and stove real estate are precious for things that are served best when fresh. Cranberry sauce is not ones of those things. I made enough to last me all Winter! If you are into canning, follow the canning rules of course. If you want cranberry sauce without all of the canning, make it ahead and it can last for up to a month in the fridge safe and sound, ready for your leftover turkey sandwiches. 1. Place all of the ingredients in a large dutch oven, or pot. Cook over medium low heat for 20 minutes. Cranberries are very tart, and each batch varies in sweetness and tartness. Taste it, does it need more sugar. The batch I bought had a great sweetness so I used 1 cup of sugar. So taste and add sugar, and a pinch more of salt if needed. So much better than the canned stuff! This needs to be our Thanksgiving table. Orange juice is awesome with cranberries. I would totally can this and use it for baking! That is exactly what to do! 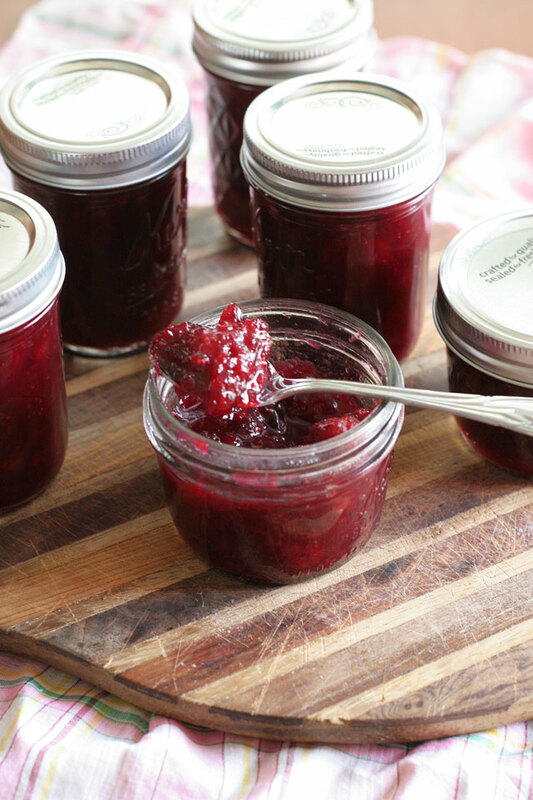 Baking with homemade cranberry jam is such a great holiday treat. I adore cranberries with orange! This sauce looks so good! I can’t wait to whip up a batch! Yum! Homemade cranberry sauce is so much better than anything from a can! I love the use of OJ here! What type of heat did you cook it on? Thank you so much for pointing that out! I just fixed it, over medium low heat.